So if you saw the most recent trailer for STAR TREK INTO DARKNESS, you may have noticed another slightly-larger and more intimidating Starfleet vessel facing off with the Enterprise. While we’re still not sure why, apparently there’s a face off of sorts with Kirk (played by Chris Pine) and John Harrison (played by Benedict Cumberbatch), in which a larger and darker starship appears. We do know this, that ship has a name. 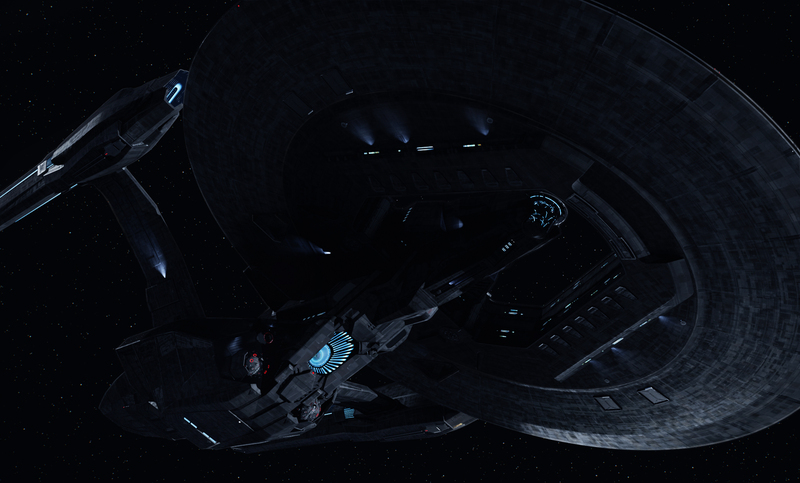 Trek Movie posted the news first, but we’ll be seeing the Enterprise facing off with the USS Vengeance, a “Dreadnought-class” ship. Check out the image below, which you can click on to make it a lot bigger. 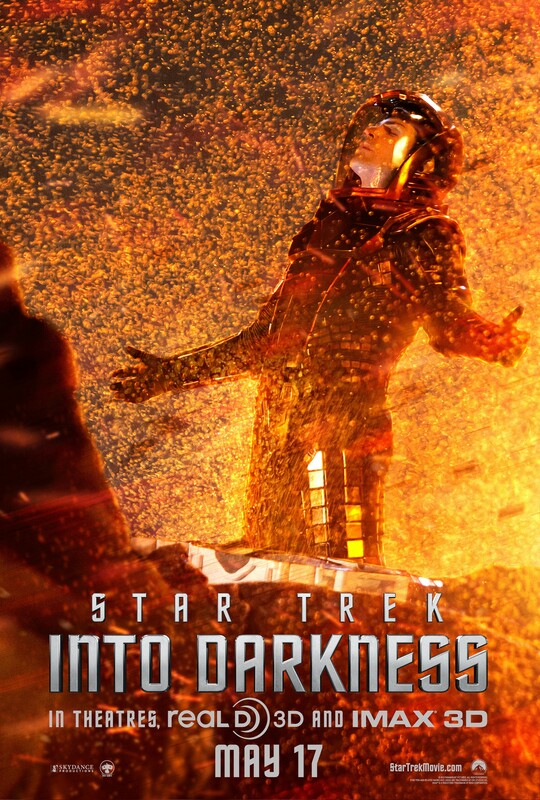 Oddly enough, as Trek Movie pointed out, the title of STAR TREK INTO DARKNESS for Russian audiences actually translates to STAR TREK VENGEANCE, which now makes a lot of sense. 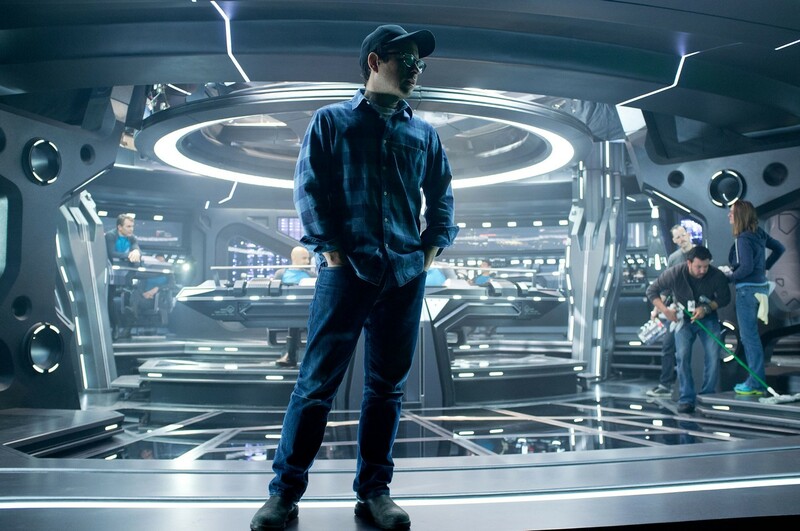 Click to see full-size – director JJ Abrams on the USS Vengeance bridge set. And as if that wasn’t enough spoiler-ish material for ya, check out three clips from the movie below. The first finds the Enterprise crew (half of them in what appears to be wetsuits, as clearly the ship is underwater) attempting to rescue Spock (Zachary Quinto) from an erupting volcano. Spock warns Kirk that the Enterprise can’t be seen by the planet’s inhabitants without breaking the prime directive… I wonder what Kirk will do. The second clip features a chase between a small craft with a few of our heroes, and an Abrams style Klingon Bird of Prey. The final clip was shown on the MTV Movie Awards, and features the Enterprise taking a literal dive. Tell us your thoughts in the comments. STAR TREK INTO DARKNESS is set to beam into 2D, 3D and IMAX 3D theaters on May 17, 2013.